School reunions are all about bringing back old memories and making new ones. If you’re planning a reunion you want to try to make it as memorable as prom night. 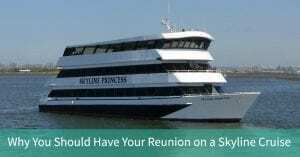 Just seeing friends that you haven’t seen in five or ten years or longer, will certainly make your reunion memorable, but having your reunion in the shadow of the world’s most spectacular sites with an NYC Skyline Cruise will make the memories last a lifetime. And it costs much less than you think. We’ll work with all types of budgets and help you plan the event you want. And putting together a reunion whether it’s for college, high school, graduate school or even elementary or middle school, can be a difficult undertaking. There are many things to plan, according to Eventbrite. You have to try to find missing classmates, pick a date for the event and make certain it’s a day when people are available. Then it’s time to pick a venue and Skyline has so much to offer. We can help you put together a black tie affair or a laid back casual cocktail party. The Skyline Princess has a dance floor on our top deck and a space for a DJ. The third deck is an open deck that can be closed if necessary as the weather is never an issue with the Skyline Princess. We sail all year round and we are Coast Guard Certified to carry up to 450 passengers. And we’ll offer your guests some terrific cuisine, all of it prepared fresh by our in-house chef. We can provide you with entrees, hors d’œuvres, carving and pasta stations, a bistro table, dessert trays and a fully stocked cash or open bar. 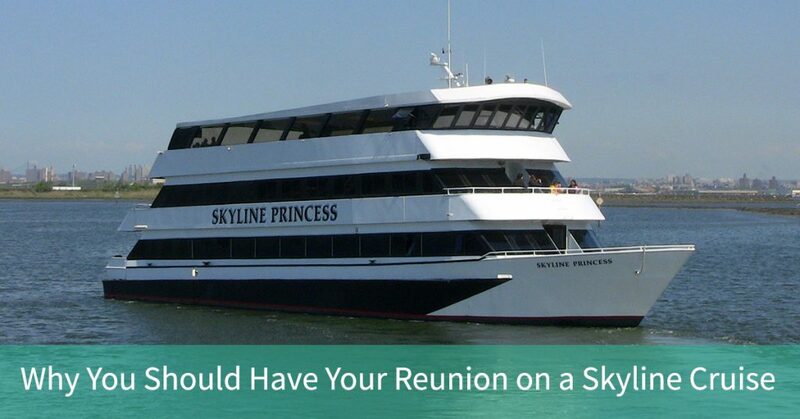 Skyline Cruises has been planning reunions and other events since 1993. We have expert event planners and if there’s something that you want to add to the celebration, ask us about it. An NYC Skyline cruise will make a memorable event more memorable. To learn more, contact us today.